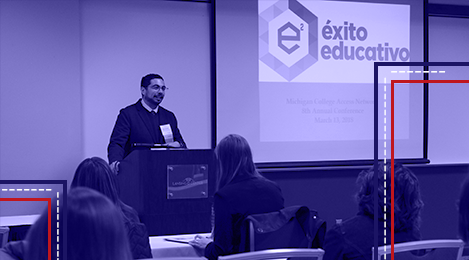 Join us for the ninth annual Michigan College Access Network Conference on March 4 and 5, 2019. This year’s theme, Fueling the Movement: Engage, Innovate, Mobilize, will dive into how the network can recharge momentum to reach Goal 2025. Our conference provides an opportunity for community and education leaders to meet, share ideas and participate in educational workshops meant to increase college readiness, participation, and completion in their community. We anticipate nearly 500 college access professionals, educators, and community leaders to attend. The conference is now at capacity! We apologize for any inconvenience.